In Part 1 I named four pairs of “either-or” guys for my final roster prediction. Today I’m going to address what may be the most difficult pair, that of Tyler Matakevich or Steven Johnson. Honestly, I don’t want to see either of them go. Matakevich is one of the guys I think would either not make it to the practice squad or would be poached from it. Steven Johnson brings a lot to the table in terms of experience. Both of them seem to be fine human beings. But for them both to make the 53-man roster there would almost certainly have to be a serious injury to someone the defense can ill afford to lose. So let’s look at what they did in Game Three, at New Orleans. In some ways it can be argued that this post is premature. For one thing, as I write this the roster hasn’t been cut to 75 yet, much less the final 53. However, this year, more than most, the issues which will influence this team’s fate seem pretty straightforward and are unlikely to be significantly affected by personnel decisions involving lower in the depth chart players. Also, as they say, any battle plan goes out the window once the first shot is fired. Acknowledging such, I am more interested in some level of accuracy as it relates to the broader themes as opposed to the details, and to my thinking, the themes are clear. Happily, none of these guys have been cut yet, so there is still room for speculation. Let’s start with the running backs. The RB situation is an interesting one. Last year, despite Le’Veon Bell’s suspension to begin the season, they only carried three running backs, and Bell didn’t count against the roster, meaning they played the first two games of the season with only two running backs. However, both of the “flex” players on the roster could function as an H-back—Dri Archer and Will Johnson. There was no fulllback on the 2015 roster at the beginning of the season, but Will Johnson filled that role, sort of. In 2016 we have Roosevelt Nix, which takes some of the pressure off, and Demarcus Ayres, while listed as a wide receiver, can be used as a runner, as we saw in the game on Friday night. It’s that time of year—the time I dread the most, as I await the decisions the Steelers have to make. The cut-down to a 75-man roster has to happen by 4 p.m. on Tuesday, and we therefore have to bid adieu to 15 guys. The cut-down to 53 comes due on September 3rd. So rather than just be depressed about the coming cuts, I thought I would try my hand at them. Since I have to go just by the very sketchy information I’ve gleaned from the preseason games thus far, I’m guessing my roster may look rather different from the one the Steelers end up with, but it’s still an interesting exercise. This is going to be short and to the point, because now that I’ve finally managed to watch the game (I had an obligation Friday evening and computer problems afterwards) it’s 2:20 a.m. So here are my immediate impressions. I’ll write about the game in more detail for tomorrow. Impression No. 1: The Steelers’ first team offense is all it was advertised to be. Ben mostly ran no huddle and scripted it almost to perfection. Impression No. 2: Landry Jones either improved a lot since last week or last week’s game was an aberration. He ultimately connected on 19 of 22 of his throws, and none of them were even in any danger of ending up in enemy hands. This is pretty encouraging, all things considered. Much of his playing time was with the second team offense. Impression No. 3: The Steelers’ defense may not be quite there yet, but it isn’t for lack of effort. There were a few evident miscommunications, a few missed tackles, and so on, but there was also a lot of pressure on the quarterback and some heads-up plays. This includes an interception by my guy Tyler Matakevich. Impression No. 6: Ben and Drew Brees mugging for the camera together makes a rather comical picture. I knew Brees was small, but he looked absolutely minute. And seriously, that’s it, folks. I’ll have more for you tomorrow. We’ve reached the mid-way point of the Steelers 2016 preseason campaign ,and while this year’s training camp and exhibition contests might have been short on drama, there is still plenty going on in Pittsburgh. Two more games await before we can prepare to discuss one that matters, but before the Steelers can test their mettle against the Saints this corner of Steelers Nation must struggle with these 5 Smoldering Questions. a. 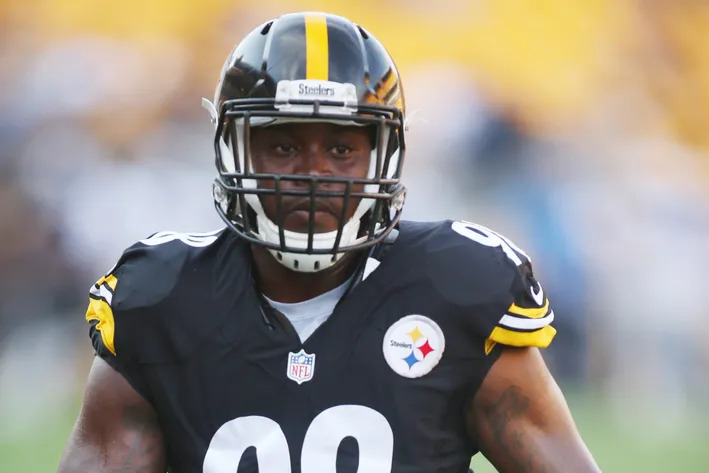 What do you think of Le’Veon Bell’s inadvertent admission that he continued to use marijuana even after he’d been busted for driving under the influence? b. Was James Harrison right to agree to be interviewed by Roger Goodell’s cronies on the basis of a now recanted report for Al Jazeera? 2. Senquez Golson is declaring that he will play in 2016. Given that the number of times Golson has practiced can be counted on one hand, do you think it would be wise for the Steelers to try to play him, even if he beats the odds and his health will allow him? 3. Both Ladarius Green and Mike Tomlin have said that it is Green’s ankle and not his headaches that are keeping him on the PUP. Yet, Ed Bouchette has said that Green is in the NFL’s concussion protocols. Leaving aside, for this installment of the Smolderings at least, the mess this is creating at tight end, who do you believe? 4. The Steelers surprised many by inking Vince Williams to a 3 year deal? The terms of that deal will detail the Steelers’ intentions, but those have yet to leak out. 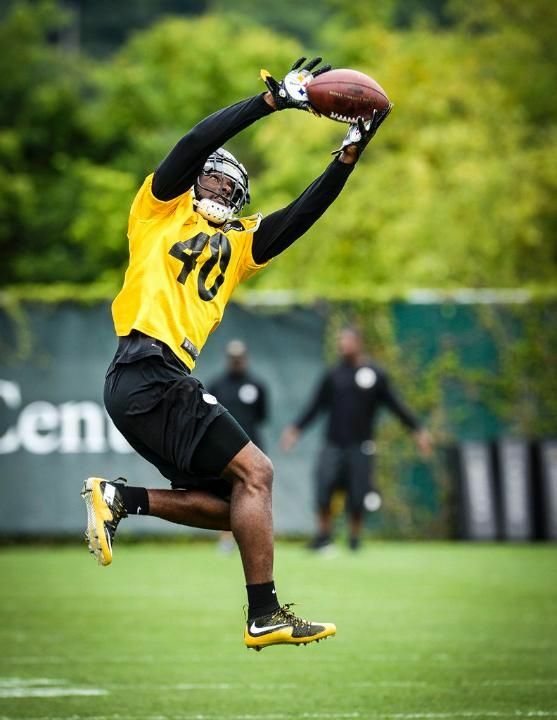 So, with that said, Do you think this spells the beginning of the end for Lawrence Timmons in Pittsburgh, and if so has the Steelers brain trust made the right call? 5. Bruce Gradkowski has a groin issue that will keep him out for a few weeks. Dustin Vaughan broke his thumb. Many “faithful” in Steelers Nation have taken to the barricades over Landry Jones preseason performances thus far. The Steelers have signed Bryn Renner, who has been on five NFL rosters without throwing a pass. Kevin Colbert, Mike Tomlin and Todd Haley invite you into a conference about the Steelers backup quarterback options. What do you tell them? There you go folks. Remember to use a sharp Number 2 dark pencil, and bear in mind any machine errors caused because you used a Faber Castel will count against you. This is an untimed exercise.